The creative team behind Red Dog is reuniting for Blue Dog, an origin story which will serve as a stand-alone film and form part of the franchise that will continue with Yellow Dog. The canine caper was one of two features, TV drama Glitch and nine multi-platform projects that secured the final round of funding from Screen Australia in the current financial year. The other film is Downriver, a mystery inspired by real events that will mark the feature directing debut of writer- director Grant Scicluna. Screen Australia is investing more than $4.5 million in these 12 projects, triggering production worth more than $25 million. CEO Graeme Mason noted the value of Australian stories was reaffirmed at Cannes with Australian film sales to international territories more than doubling the volume of sales made there last year. Nelson Woss, producer of the Dog franchise, has formed Good Dog Enterprises, a distribution company that will jointly release Blue Dog with Roadshow Films in Australia, and collaborate on international sales. Woss tells IF that the WA-based Good Dog Enterprises, which is backed by private investors, will distribute the titles on his slate as well as looking to handle films from other Australian filmmakers. The new banner also intends to partner with US studios on some films, including Woss’ long-in-the-works passion project based on the early days of the stage show The Fabulous Palm Springs Follies. Directed by Kriv Stenders and scripted by Daniel Taplitz, Blue Dog is due to start shooting in the Pilbara region of WA (where Red Dog was set) later this year, with an international and Australian cast. Screen West is co-funding. Stenders, who is in post on the crime thriller Kill Me Three Times, tells IF he did not want to make another dog-based film unless it had the integrity, craft and passion of the original. Woss is currently shooting Koko, a documentary on the late kelpie who featured in Red Dog, which Good Dog Enterprises will distribute. “It’s the story of an ordinary dog who became a star and then went back to being an ordinary dog, and how he affected people,” he says. 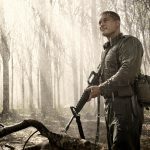 He is coy about Yellow Dog, hinting only that the third film in the trilogy will be set in the Australian military and involve the same creative team. Red Dog ranks as the ninth most popular Australian film of all time, grossing $21.5 million. Happening Films’ Downriver is the saga of teenager James who is sent to prison for drowning a little boy when he was a child, although the body was never found. In an attempt to uncover the truth, he takes dangerous risks to find redemption and return the missing body to the grieving mother. Reef Ireland (Puberty Blues, Wentworth, Blessed) will play James, with Kerry Fox as his mother. Producer Jannine Barnes tells IF the film was in development for 10 years and gained momentum after being selected for Screen Australia’s Springboard program in 2011. Shooting is due to start in Melbourne in November. Rialto will release in Australia and LevelK will handle international sales. Ireland played a juvenile inmate who is torn between the chance for freedom and protecting the one he loves in The Wilding, a 2012 short written and directed by Scicluna and produced by Barnes. As reported last week, Matchbox Pictures’ Glitch is a supernatural drama about a group of people fighting for their lives (for a second time) after they are resurrected from the dead, commissioned by the ABC. Tony Ayres is the executive producer, Ewan Burnett and Louise Fox are the producers and the scripts are by Fox, Kris Mrksa (The Slap, Time of Our Lives, The Turning), and Giula Sandler (Love Child, Wentworth). Synopsis The early events leading up to Red Dog’s discovery on the road to Dampier and his ultimate rise from ordinary dog to Australian legend. Synopsis The chilling story about a teenager, James who serves time for drowning a little boy when he was a child, although the body was never found. In an attempt to right all wrongs and uncover the truth, James takes dangerous risks to find redemption and return the missing body to the grieving mother. Synopsis The sleepy town of Yoorana is jolted awake one night when six officially dead people suddenly return. How did this happen? And why Yoorana of all places? For local cop James Hayes it is a professional nightmare and a personal crisis when he recognises one of these six as his recently deceased wife, Kate.